Cala Tuent is a paradisiacal cove very close to Sa Calobra, 40 kilometres away from Sóller. 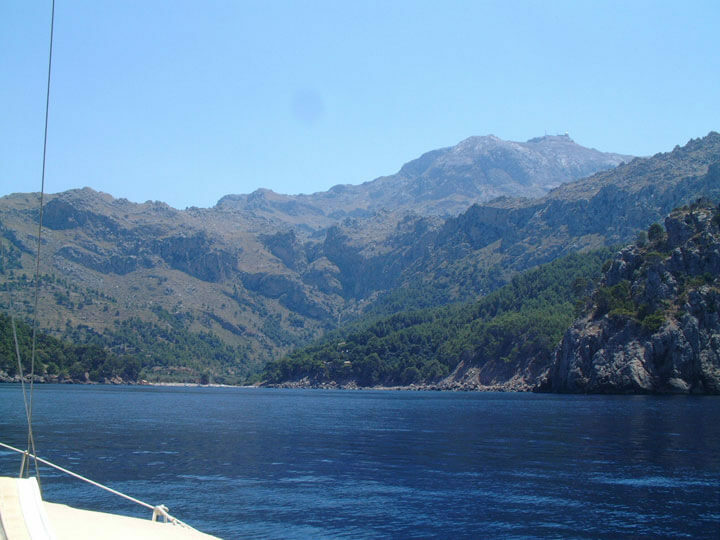 It is located between Punta de sa Corda and Morro des Forat, under the shade of Puig Major (1,445 meters of altitude), the highest peak of the Balearic Islands. 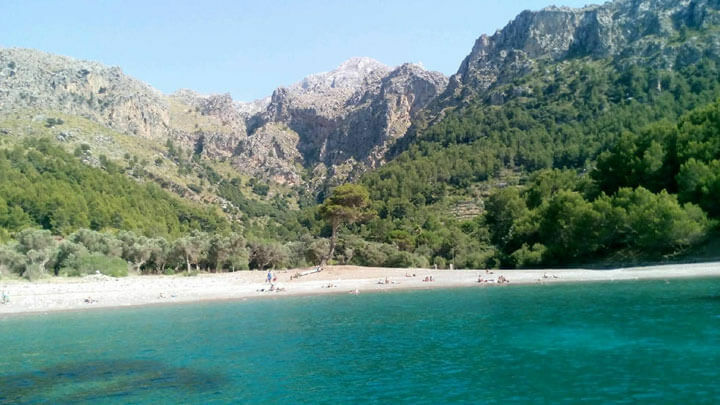 This incoming sea has erosionated the interior of Serra de Tramuntana making a semicircular beach between the rocks and leafy pine trees. The sand of the first line gives way to boulders and coarse gravel in the composition of the substrate of this stretch of the littoral Escorquer. It is one of the most spacious and comfortable beaches in this area in which is common to find small coves of rock.